With the enlightenment set in motion it becomes a race against time to stop Clifford DeVoe once and for all. There was no messing around in the final episode of season 4 and with Marlize now on their side, teamwork quite literally makes the dream work. 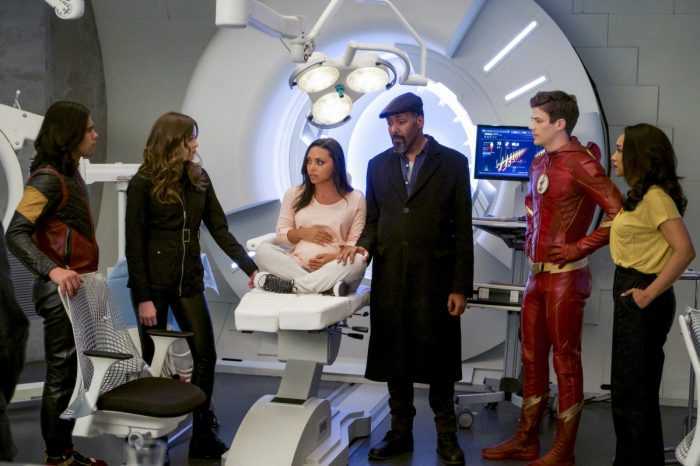 Barry is sent into DeVoe’s mind, using Cecile’s powers in order to appeal the old, happier DeVoe trapped in his own mind. As you’d expect, there’s twists, turns and trails for Barry to overcome while he’s in The Thinker’s head. I really wanted to try and keep some of this spoiler free … but I can’t … RALPH IS ALIVE!!!!!!!!!!!!!!!!!!!!!!!! He’s been trapped inside DeVoe’s mind and his reunion with Barry made me want to squeal with excitement. 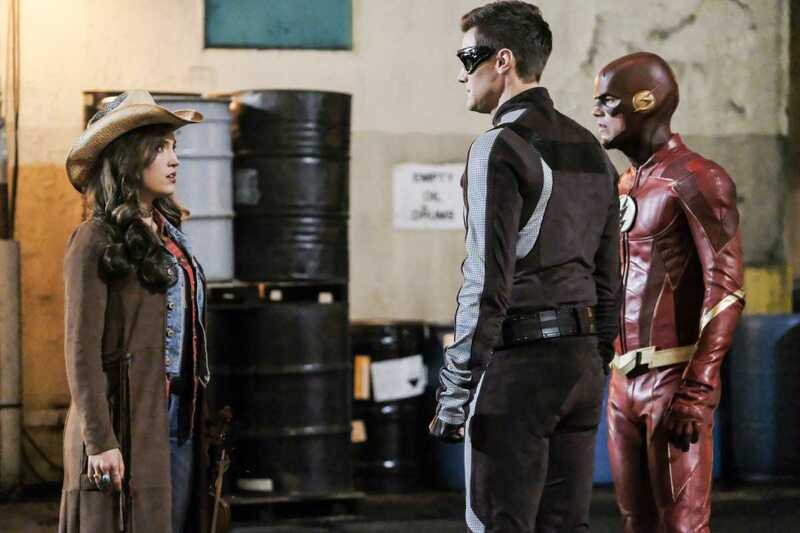 Ralph has quickly become my favourite character in The Flash and unlike some other people who have popped in and out, I really think you felt the loss of him within the team. The pair work together, and Barry actually shows that he’s learnt from mistakes he’s made by virtually letting Ralph take the lead with their escape. The team on the outside are frantically trying to rush Barry to safety and it’s not all plain sailing for them either. Marlize helps them escape the actual DeVoe a few times and with Cecile going into labour, they panic that if Barry doesn’t make it back before she has the baby he will be trapped in DeVoe’s mind for good. 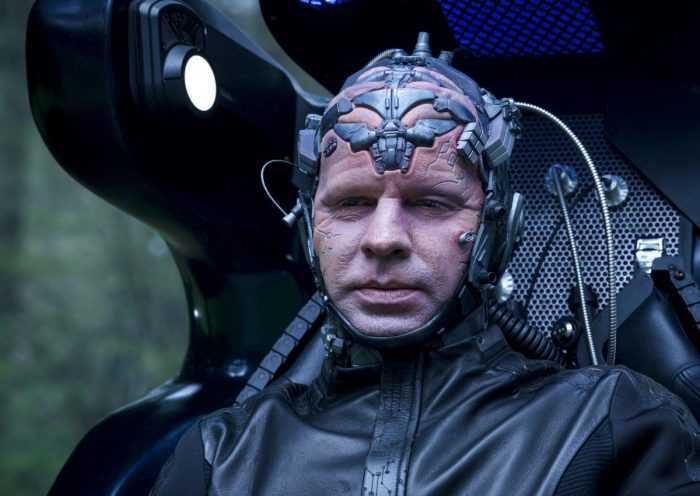 Harry has deteriorated greatly but he uses his thinking cap one last time which really helps them put an end to the enlightenment and they get rid of DeVoe for good. Barry’s final task is stopping the satellite before it crashes to Earth and he does this with the help of a mysterious new speedster who arrives just in time to help him sonic smash the satellite, and disappears just as quickly. Caitlin delivers Cecile’s baby and Marlize gives them a device to restore Harry’s mind before returning to help the world as she did before. Welcome to the world Jenna Marie West, and as the gang wet her head the mystery girl from the cafe shows up at Joe’s house. They don’t know it yet, but they all know her very very well. Loved the season finale and the ongoing theme that DeVoe placed no importance on the power of emotion was his final downfall. But in reality anything could have happened and I would have been happy just for the sake that Ralph is back. I was happy that Marlize came through in the end and while she could see the wrong in what her husband was doing, she still loves him. Or at least she still loves the version of him she first met, and I think that made her turnaround more believable. Hartley Sawyer and Kim Englebrecht were absolutely incredible the whole way through this season and I need to hear that Hartley has been made a series regular for season 5. The episode ends on a cliffhanger, which we would expect – but it’s a really exciting one and I’m very excited to see where it goes. What an amazing season! ← The Hunt Concludes in Hunt For Wolverine: Dead Ends #1!